Belly buttons can become infected for a number of reasons, but the most common is an infected belly button ring. 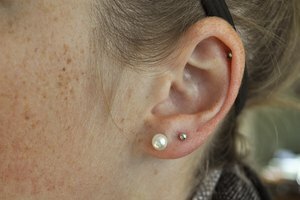 Redness, swelling and pus excreting from the piercing are a few common symptoms. Take care of the infection quickly or the infection can spread to the rest of your body. Follow these steps to deal with your infected belly button and get back to wearing those navel-baring shirts. Apply a hot compress. Use a clean cloth and thoroughly soak the compress with water. Place the cloth in the microwave for about 25 seconds or until it is hot. Place the compress on your infected belly button and hold is against the infected area until the cloth cools down. You may repeat this a few times. The heat from the compress helps to increase blood flow to the infected area and allows pus to drain. Rinse the infected area with salt water. Use a teaspoon of table or sea salt with 8 ounces of water. Soak cotton balls or clean cloth thoroughly with the salt water and place on the infected area. You can also use a large bowl to soak the area. Dispose of the materials immediately after use or disinfect the bowl. Use over-the-counter antibiotic creams (water-based preferably for breathing) for a short period of time. Rub cream onto the infected area and let it soak in. Repeat as needed. If there is pus and it has not yet drained, apply hydrogen peroxide. The peroxide will assist in draining the pus and clearing the infection. 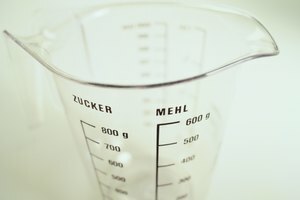 Only use hydrogen peroxide for these reasons; do not use it after the infection is gone. If the above steps have not worked and you still have an infection, see a doctor immediately. Any infection that does not clear up in 1 or 2 days may be serious and you should immediately seek medical treatment. If you have a belly button ring and your navel is infected, do not take the ring out immediately when you see an infection. If there is pus, leave the ring in so that it can drain out. Pus that does not drain can cause an abscess, which must be treated with antibiotics or in some cases surgery. Some infections can be fatal. A systematic infection is when bacteria and toxins have spread throughout your body through your bloodstream. Take any infection seriously and know that it may not clear up by itself. In cases of belly button rings, the infection may clear in a few days, or you may need to remove the ring and let the hole close back up. You can then get it re-pierced once the hole has healed. Do not use alcohol as it disinfects but does not promote healing.